Last Friday October 21st at UGPM we celebrated the Player of the Year 2015-16 Award. This award is granted to the most outstanding player of our team based on both the academic and sporting merits achieved during the season. 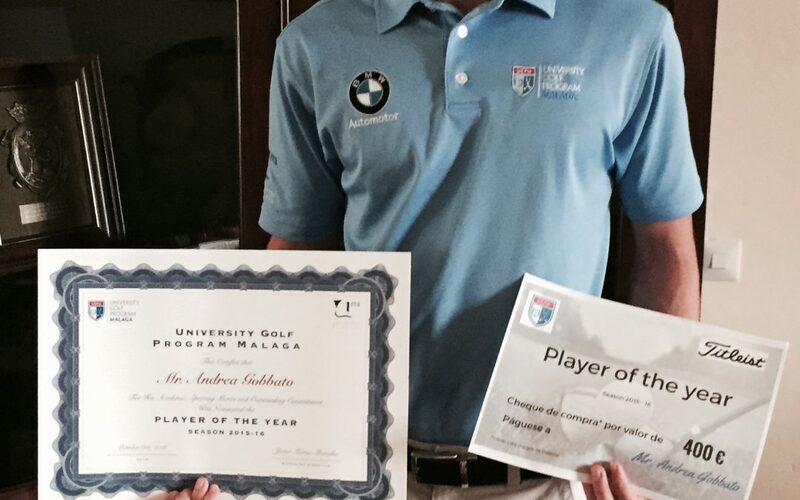 Andrea Gobbato was the winner of the prize for his impressive achievements, commitment and dedication. From UGPM we want to congratulate you again for this important achievement. We are proud of you and delighted of having you playing for our team. We also congratulate to the rest of our players for their great season 2015-16. Many of them were also strong candidates for the prize and undoubtedly they will be again for the 2016-17 Award.